AARP works to strengthen communities and advocate for what matters most to families with a focus on health security, financial stability and personal fulfillment. AARP provides caregiver resources and support nationally and locally. Visit https://www.aarp.org/caregiving/ for resources that can help you and your loved ones. Also visit here for a Prepare to Care guide if you are new to caregiving, and here for state resource guides. United Way fights for the health, education, and financial stability of every person in every community. Their programs can help provide volunteer opportunities to help your community, education programming for students, and financial education to keep your budget on track. Contact your local United Way or visit http://www.unitedway.org. You can also call 2-1-1 for free from any community to learn of resources that are available for you. Good question. Caregivers often ask themselves the same thing. Faced with tough decisions, their goal is to remain compassionate and dedicated to the ones they love. Do You Care Challenge reflects that same life experience: there is no “winning strategy.” The best answer is sometimes No. Sometimes it’s Yes. When you’re Unsure, an alternate solution appears, a 50% chance of everything working out great! Or not. “Unpredictable” often describes the life of a caregiver. If you felt frustrated you couldn’t force a ‘win,’ imagine how it must feel for Devon, Julianne, Brent and Anja. How do you “win” with health fears, job stress, kids, home repairs and the nightly need to make dinner? Try retaking Do You Care Challenge with a goal other than winning: compassion. You may not experience the thrill of victory, but you’ll better understand their tough decisions. How do I select another character? Click the Menu button and you’ll see all four character profiles. You can choose someone new or revisit a familiar friend. How do I turn off the audio? Click the musical note icon in the bottom right corner. When the audio is off, a line is drawn through the musical note. Click it again, and the audio toggles back on. Why did you create this experience? United Way and AARP have developed Do You Care Challenge to start a dialogue about caregiving. As you will experience, caregiving is challenging. Devon, Anja, Julianne, and Brent have busy lives with additional duties caring for Grandma, Vladlena, Aunt Mary, and Gerald. You yourself may be caring for a loved one. It might be stopping by once a week or it may be a daily routine at home. You may have cared for someone years ago, or you may be wondering if someone will need care in the coming years. Out of the nearly 40 million family caregivers in the United States, approximately 6 in 10 are employed. The average Millennial family caregiver has performed caregiving work for almost three (2.8) years. Millennial family caregivers spend an average of 21 hours per week on caregiving work. There are no easy solutions for caregivers but we can all help. We can ask friends if we can help with food or transportation. We can talk to our human resources managers about what can help make work more flexible for caregivers. And we can reach out to trusted partners like AARP and United Way to learn what resources are available nationally and in your community. 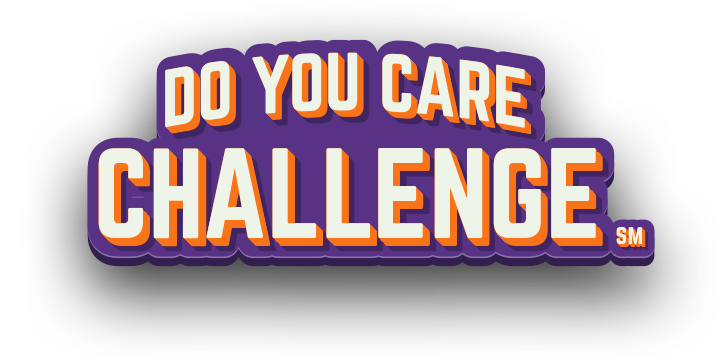 Please share the Do You Care Challenge with your friends and family, and ask how you or others can help. Our hope is that you learn more about the challenges and joys that family caregivers face today and that you share this experience with your friends and colleagues. We aim to increase awareness and empathy in the community and the workplace around the topic of caregiving. Perhaps it may compel you to reach out to a friend or coworker who is juggling caregiving duties with other responsibilities and could use help. Share this experience with your friends and colleagues or reach out to a friend or coworker who is juggling caregiving duties with other responsibilities and could use help. Employers have a unique opportunity to support employees in managing their caregiving obligations in a way that can also reap rewards in the form of an engaged and productive workforce, a competitive edge in retaining and recruiting employees, a reduction in healthcare costs and an increase in employee loyalty. Every employer can make a commitment to changing their workplace culture to be more responsive to caregiving employees’ needs. They can also provide resources to caregivers and connect them to local services for support. Supporting employee caregivers need not be expensive – and it offers tangible value to employers and individuals. Many organizations already have policies and programs in place that can be adapted to support working caregivers and promote a better balance of work and life today, and savings for tomorrow. For more practical guidance on how to support working family caregivers, visit www.employercaregivingtoolkit.org. Where can I read more about Millennials and caregiving? Check out this AARP report: The Millennial Caregiver. What resources are useful for caregiving in general? Can you point me in a good direction for a snapshot of caregiving in the United States?